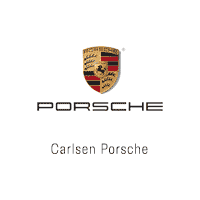 Welcome to Carlsen Porsche located in Redwood City, CA. Carlsen Porsche is conveniently located approximately 15 miles south of San Francisco Airport. Carlsen Porsche has been serving Porsche customers for over 40 years from San Jose, Cupertino, Mountain View, Sunnyvale, Los Gatos, Atherton, San Mateo, San Francisco, and the surrounding Bay Area. Customer satisfaction is a top priority at Carlsen Porsche. Our new and pre-owned sales departments, along with our award-winning service and parts teams, will go out of their way to exceed your expectations. Shop the Bay Area’s largest selection of new and used Porsche inventory, visit Carlsen Porsche today. If you desire competitive pricing, selection, and a hassle-free buying experience, then Carlsen Porsche is the place to buy your new 911 Carrera, Cayenne, 718 Boxster, Cayman, Macan, and Panamera. As the Bay Area’s largest volume sales leader since 1982, we have an incredible selection of new and pre-owned Porsche inventory, as well as the aftersales parts and service operations to keep your vehicle performing at its best. We look forward to serving you. Visit us at 3636 Haven Ave, Redwood City to see the difference.